Members of the community have allegedly mobilised and targeted houses of suspected gangsters following the murder of a young girl in the Easter Cape. A 12-year-old school girl is the latest victim in the ongoing gang war in Port Elizabeth’s notorious Northern Areas. Alvineesha Brookes was shot dead in Bloemendal over the weekend as gang wars continue to ravage the community. A 25-year-old man was beaten to death by the vigilante group while a 16-year-old male was also assaulted and admitted to hospital in a critical condition. The family is still reeling after the senseless killing of their child. Brookes sustained a gunshot wound to her head. Her father, Irvin Martins, is struggling to come to terms with what happened. Brookes’s mother, Sonia Brookes, recalls the last time she saw her daughter sleeping. She says she never imagined, the very next day, her child would sleep forever. Conflicting reports on the killing of the gangster have emerged. Some community members say that the suspects were killed by gangs and not the community. Another community member has pleaded with government to intervene. Police Spokesperson Priscilla Naidu says the investigations of murder, attempted murder and malicious damage to property is ongoing. She has also urged the community to refrain from any violence. 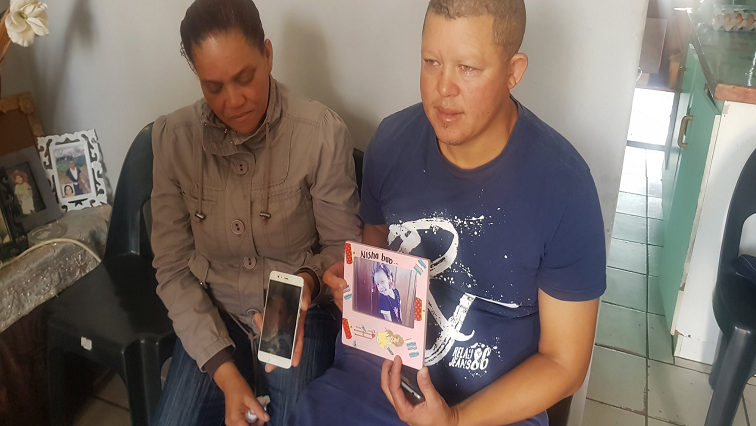 The post Tempers high following 12-year-old’s murder in PE appeared first on SABC News – Breaking news, special reports, world, business, sport coverage of all South African current events. Africa's news leader..